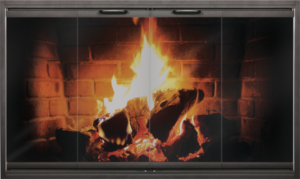 Design a truly, one-of-a-kind door with the Normandy Deluxe masonry custom fireplace door. 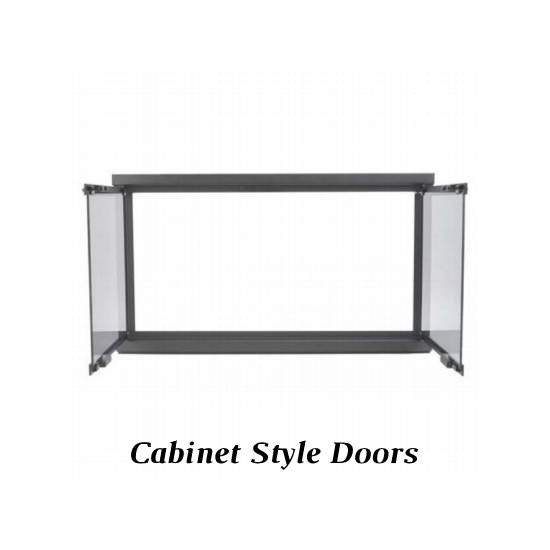 Choose separate colors for the main frame and door frame, along with the handles and hinges. 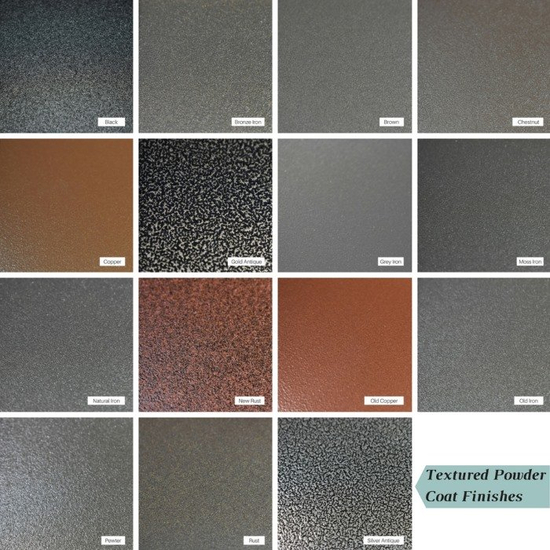 We offer 15 powder coat finishes to mix-and-match with. 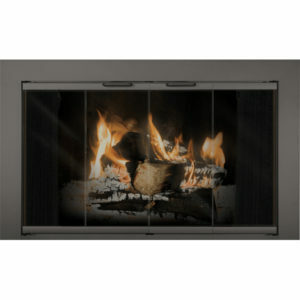 As fun as it is picking colors, it’s equally important that the door fits your firebox. 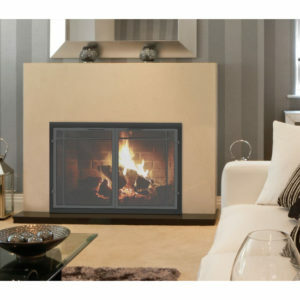 So provide us with the correct measurements and hearth position to ensure that this decorative aluminum replacement fireplace door is the perfect fit. 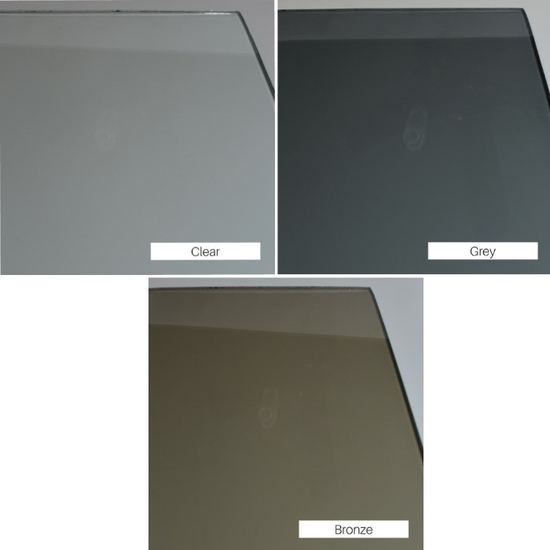 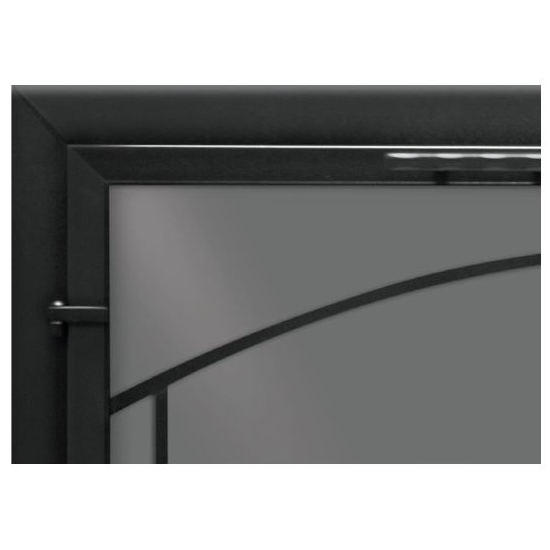 The cabinet doors can have bronze, clear, or grey tinted tempered glass, which comes with a lifetime warranty. 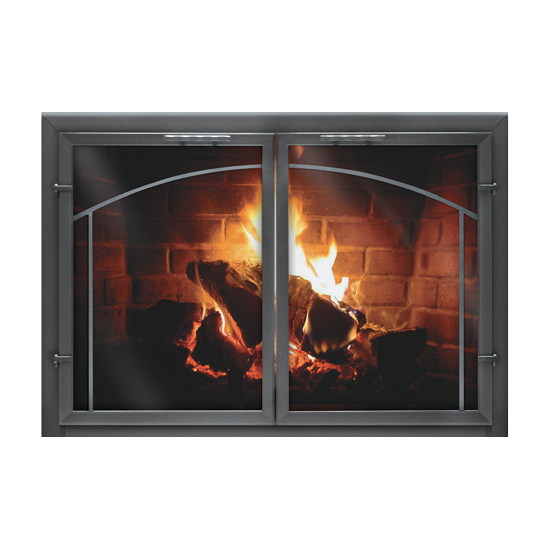 The beautiful window pane design further accents the glass and offers an interesting focal point when the doors are closed and your fireplace is not in use. 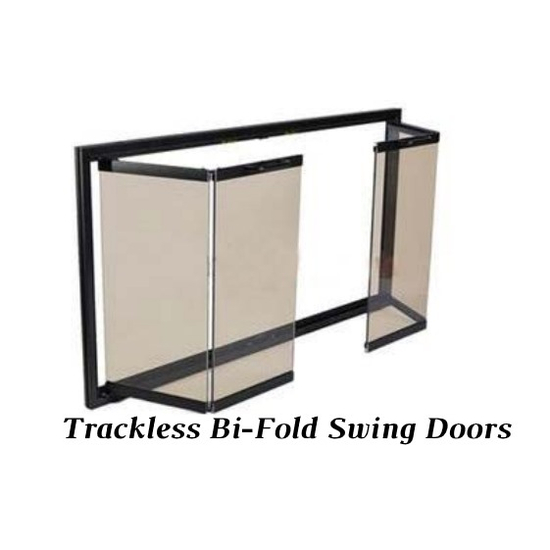 A sliding black mesh curtain is included for your safety and convenience. 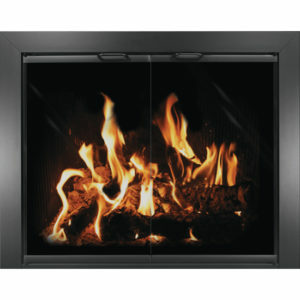 You may also upgrade to sturdy, cabinet mesh doors to protect your home from sparks, hot coals, and logs while burning wood in your fireplace with the main doors open.